Hundreds of thousands of new voters could join the state’s rolls in the coming years after Governor Charlie Baker signed legislation that adopts automatic voter registration — one in a flurry of bills that became law Thursday with a few flicks of the Republican’s pen. The voting measure, which registers eligible residents when they get their driver’s licenses or health insurance through the state, was one of more than 50 pieces of legislation Baker signed that touch on everything from the state’s opioid crisis and animal abuse to climate change and renewable energy. And while in many cases Baker’s signature was expected, taken together, the moves cap months, if not years, of debate, advocacy, and behind-the-scenes deal-making. The automatic voter registration law makes Massachusetts the 14th state, plus the District of Columbia, to adopt such a measure and the fourth this year. Under the new law, eligible residents who interact with the Registry of Motor Vehicles or the MassHealth program will have to opt out if they don’t want to join the voter rolls, rather than opt in. The law also allows the secretary of state to reach agreements with state agencies to automatically register voters if they meet certain criteria, potentially further expanding the net the state can cast to reach eligible residents. 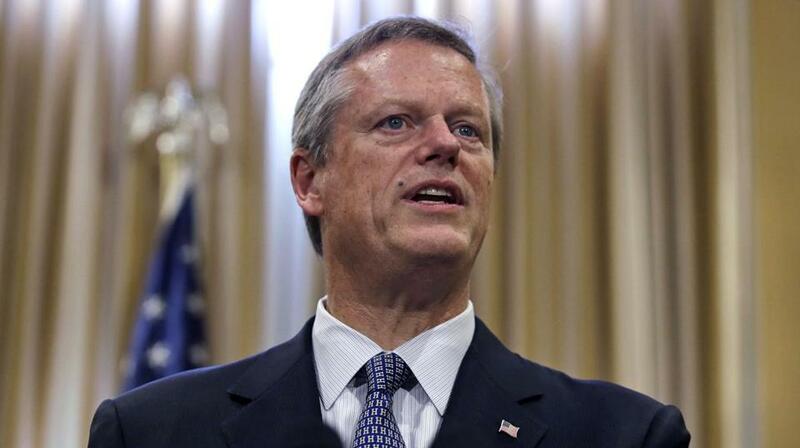 Baker, who released statements on several bills Thursday, did not directly address the automatic voter registration measure, but he previously said he had confidence that the state could install it with a “fairly high degree of integrity” at the Registry of Motor Vehicles. Secretary of State William F. Galvin, who’s facing a primary challenge from Boston City Councilor Josh Zakim, said Thursday that his office “will have systems in place” to begin automatically registering voters on Jan. 1, 2020, ahead of the next presidential primary. “We think it is one of the strongest automatic voter registration bills in the country,” said Pam Wilmot, executive director of Common Cause Massachusetts. Wilmot has estimated that 500,000 new voters would come onto the state’s voter rolls in the next five years with the law’s passage. All the activity Thursday came during an otherwise quiet time on Beacon Hill. Many lawmakers embarked on vacations or the campaign trail after their formal legislative session wrapped last week. Baker did not hold any bill-signing ceremonies Thursday and, in some cases, advocates and interested lawmakers announced that the Republican had signed a measure before his office had formally acknowledged it. But it doesn’t make any of the changes less sweeping. In all, Baker signed 53 bills, including a multifaceted renewable energy bill and legislation addressing animal abuse. That law hikes the penalties for hit-and-run accidents involving cats and dogs, among a series of other changes. He also put into law a veterans bill that repeals the state’s controversial Valor Act and replaces it with a far more narrow measure. The new law is intended to close loopholes that allowed some veterans to avoid criminal charges, including for assaults on women, by citing their military service. Baker also signed omnibus opioid legislation — a priority for him this legislative session. Among its provisions is a three-year pilot that would provide addiction treatment medications to some inmates starting in September 2019. The legislation would also require the state Department of Correction, starting in April 2019, to institute a medication-assisted treatment program at four facilities: the two women’s prisons, MCI Cedar Junction, and a Plymouth treatment program for civilly committed men. It includes several other measures as well, including the creation of a commission tasked with recommending credentials for recovery coaches — people who are in recovery from addiction and help others in that struggle. Amid agreeing to dozens of bills in full, Baker signed a $2.4 billion environmental bond bill, but with a few small changes. He vetoed a section of the bill that would have shifted oversight of agricultural composting from the Department of Agricultural Resources to the Department of Environmental Protection, and he returned a handful of sections back to lawmakers with amendments. But it all came with very little push-back, compared to Baker’s decision last week to send a bill regulating Airbnb and other short-term rentals back to the Legislature with changes that could throw a big wrench into the complex legislation. Lawmakers have yet to act on Baker’s amendments, leaving the bill’s future unclear. One major bill still sits on Baker’s desk: a $1.15 billion economic development bond bill that includes a measure authorizing a sales tax holiday for this weekend. Baker’s office said Thursday that he will sign the sales tax holiday provision, but that he is still “carefully reviewing the entirety” of the bill.